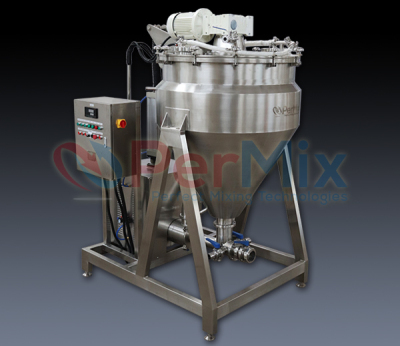 The PerMix PVC series Vacuum Homogenizing Mixer is more than a single homogenizer, but a vacuum mixing, dispersing and homogenizing system that is used whenever a high quality and absolutely air-free product is required as with the PerMix PMS series Multi-shaft Mixer, but at a lower cost. The PerMix PVC series Vacuum Homogenizing Mixer caters to various work processes which normally require more machinery in one system. 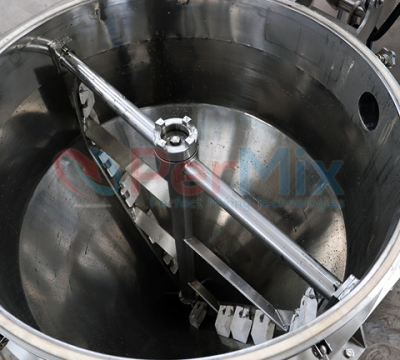 In the PerMix PVC series Vacuum Homogenizing Mixer, base materials can be mixed in liquids, dispersed and homogenized while at the same time all air is removed. This produces stable emulsions with a long shelf life in storage. The basis of this plan is the PerMix mixing, dispersing and homogenizing head with multi-working chambers. 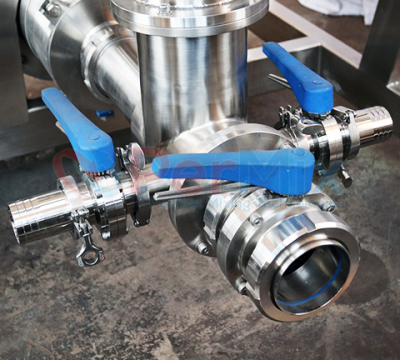 It can be supplied with mixing vanes, dispersion components or homogenizing tools. 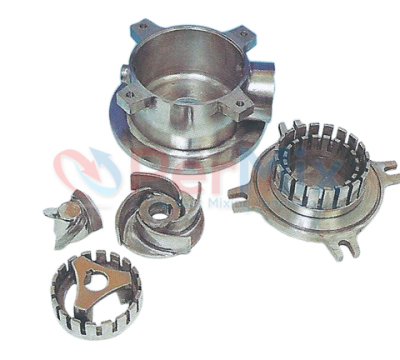 For each operation, these components can be interchanged or combined so that the mixer operates to suit every product possibility. The pump action allows the product to circulate from the feed hoppers through the working hopper continuously. All the parts that come in contact with the product are stainless steel. Standard sizes of the PerMix PVC series Vacuum Homogenizing Mixer range from 10 to 1000 liters with larger units available upon request. 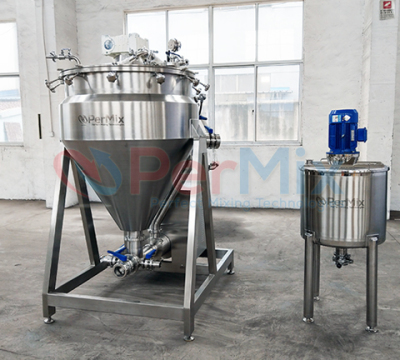 The PerMix PVC series Vacuum Homogenizing Mixer is used extensively in the food, cosmetic, chemical and pharmaceutical industries, especially in production of mayonnaise, ketchup, dressings, etc.